System components, such as circuit breakers, transformers, cables, etc. are an integral part of the electrical system and must operate within their design parameters before the system can meet its designed performance levels. The question would arise, why then, do most CDM programs treat these components as isolated machines and not as part of an integrated system? Instead of evaluating a transformer or circuit breaker as part of the total system, most CDM analysts limit the use to simple diagnostics of the condition of that individual component. As a result, no effort is made to determine the influence of system variables, like load, speed, voltage, product, or instability on the individual component. These variations are generally effect of process equipment variables and hence are often the root-cause of the observed problem in these components. Unless process variables are considered, it would not be possible to determine the true rootcause of problem. Instead, the recommendations would be made to correct the symptom (e.g., damaged bearing, misalignment), rather than the real problem. The converse is also true. When diagnostics under CDM are limited to individual components, the system problems cannot be detected, isolated, and resolved. The system, not the individual components of that system, generates capacity, revenue, and profit for the plant. Therefore, the system must be the primary focus of analysis under CDM along with individual component. When one thinks of predictive maintenance, current (load), voltage, HV testing, insulation measurement, oil analysis, etc. is the normal vision. These are powerful tools of CDM, but they cannot throw light on the plant problems. Used individually or in combination, these cornerstones of CDM technologies cannot meet all the diagnostics requirements to achieve and sustain optimum plant performance levels. Process parameters, such as pressures, flow rates, retention time, temperatures, and others, are absolute requirements in all CDM and process optimization programs. These parameters define the operating parameters of the process and are essential requirements for system operation. In many cases, these data are readily available. Advantages of all the technologies are always accompanied with disadvantages like all the coins have two sides. After discussing basic aspects of CDM program, the advantages and disadvantages of CDM mechanism are discussed briefly hereunder. Maintenance can be performed when it is actually required and not based on elapsed time basis as done under preventive maintenance program. Increases equipment availability time as decision for preventive maintenance is based analysis of data generated by condition monitoring, creating optimum production revenue and profit due to increasing equipment and/or system availability time by avoiding unnecessary preventive maintenance shutdowns. Standardizes procedures, times, and sizeable maintenance costs. Minimizes parts inventory as the spare parts are procured based on knowledge of developing problem through CDM. Balances workload by appropriately prioritising the maintenance depending on analysis of data available through CDM and schedules optimum utilisation of resources on hand by prioritising the work of maintenance. Reduces need for standby equipment due to increase in reliability of equipment and system reducing probabilities of unanticipated breakdowns. Improves safety and pollution control as system as a whole is attacked along with individual system equipment. Stimulates action based on advance planning instead of reaction based action in breakdown maintenance. Assures consistent quality, as CDM observes system along with equipment and analysis of observations, readings, test data, etc. is carried out to find out root cause as far as possible. Exposes equipment to possible damage as sometime the judgement of anticipated problem based on analysis of CDM data may prove wrong and the equipment may got damaged prior to planned day of maintenance. Moreover, the equipment is taken up for maintenance based on indication of developing problem only. Failures in new parts, as the observations for new parts are sparingly made anticipating no deterioration of condition in near future. Sometime uses more spare parts due to inadvertent breakage of some parts during dismantling of equipment for maintenance and replacement of some internal parts found in bad shape upon dismantling based on further analysis under CDM. Increases initial costs due to incorporation of additional instruments/tools for CDM. Requires more frequent access to equipment to monitor depending on observance of some anticipated problem through CDM. Time of repair and duration for repair cannot be same for two identical equipment, as no two identical equipment would show exactly the same time to failure due to various factors such as variations in material, manufacturing, installation, operation and skill of maintenance applied by personnel, etc. At present, CDM is mostly used as a maintenance management tool to prevent unscheduled downtime and/or catastrophic failures. Although this function is definitely important, CDM program can provide substantially more benefits by expanding its mission. for using it as plant production optimisation tool. In the present competitive environment, all the industries are making efforts to reduce the operation and maintenance (O&M) expenditure. Maintenance costs are a major part of the total operating costs of all manufacturing or production plants. One of the biggest factors to reduce O&M cost is to minimize the plant outage duration due to failure of equipment or for unnecessary maintenance. Implementation of condition monitoring based maintenance (CDM) is the need of the hour, asit greatly supplements the efforts to cut down O&M costs as construed from the discussion provide din the paper. CDM is much more than maintenance task. 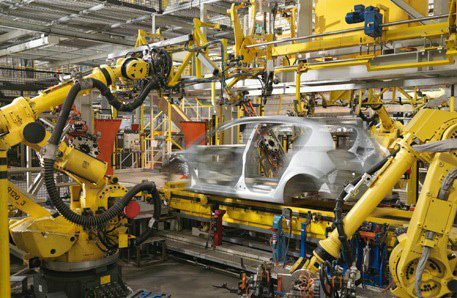 It is the means of improving productivity, product quality, and overall effectiveness of manufacturing and production plants. 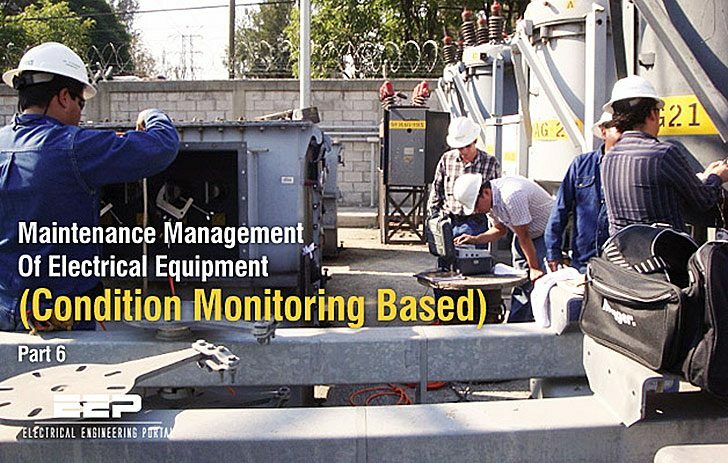 CDM is not simply vibration monitoring or thermal imaging or transformer oil analysis or any of the other non-destructive testing techniques that are being marketed as predictive maintenance tools. Effective CDM program can save significant maintenance costs, which is otherwise wasted as the result of unnecessary or improperly carried out maintenance. The result of ineffective maintenance management represents a loss. Perhaps more important is the fact that ineffective maintenance management significantly affects the ability to manufacture quality products that are competitive in the world market. The losses of production time and product quality can result from poor or inadequate maintenance. However, there could be other causes as well for the loss of production and effect on the quality of product. 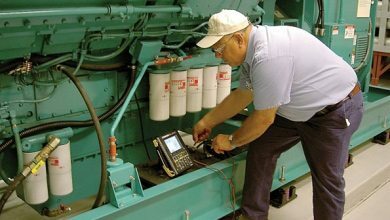 Until recently, the general opinion has been “Maintenance is a necessary evil” or “Nothing can be done to reduce the maintenance costs.” Perhaps these statements were true 10 – 15 years ago, but the development of microprocessor based instrumentation that can be used to monitor the operating condition of equipment, machinery, and systems has provided the means to manage the maintenance operation. This instrumentation has provided the means to reduce or eliminate unnecessary repairs, prevent catastrophic machine failures, and reduce the negative impact of the maintenance operation on the profitability of manufacturing and production plants.